Ever see a Peacock strutting his stuff? It’s amazing to watch. The male sets his sites on the unsuspecting female… let the display begin! With all the pomp he can muster up, he parades back and forth shaking his tail feathers. We’re not talking just any feathers…these are the most magnificent feathers! Go ahead take a close look at one, the colors change with every move. 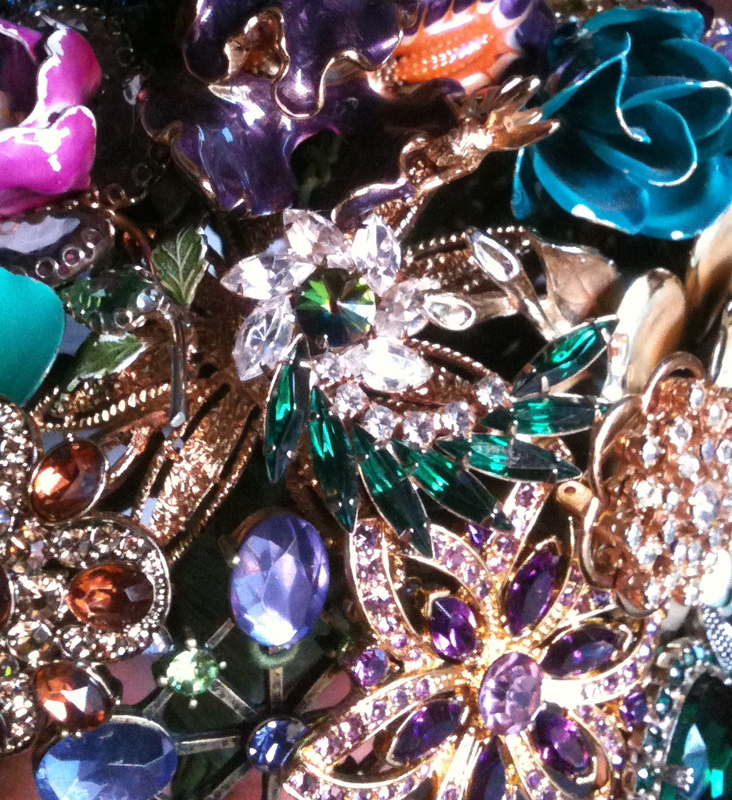 Check back to see this, Peacock inspired “ready made” Vintage Brooch Bouquet, strutting it’s stuff!